The Annual Creekside Blues and Jazz Fest will be held in Olde Gahanna on June 14-16, 2019. The event brings the top regional and national blues and jazz talent to Gahanna on 5 stages, food vendors, retail vendors, a Musical Discovery Zone Stage for kids, amusement rides, paddleboating, The Turtle Lady, beverage tastings, craft beers, and more. Father’s Day: FREE Admission on Sunday from 11:30 am-12:30 pm with the donation of one non-perishable food item (per person) to benefit GRIN (Gahanna Residents in Need). Check out the options for VIP Experiences here, including shuttle from parking lots, Hospitality Center, free water and snacks, private bar and bathrooms, reserved seating near stages, and more, depending on selection. The Giant Eagle Family Fun Zone offers FREE kids activities from 2-7 pm on Saturday and 12-4 pm on Sunday. Visitors do not need to purchase wristbands to enter this section of the Festival, located at Veterans Memorial Park (South of Granville St. / West of Mill St and Big Walnut Creek). 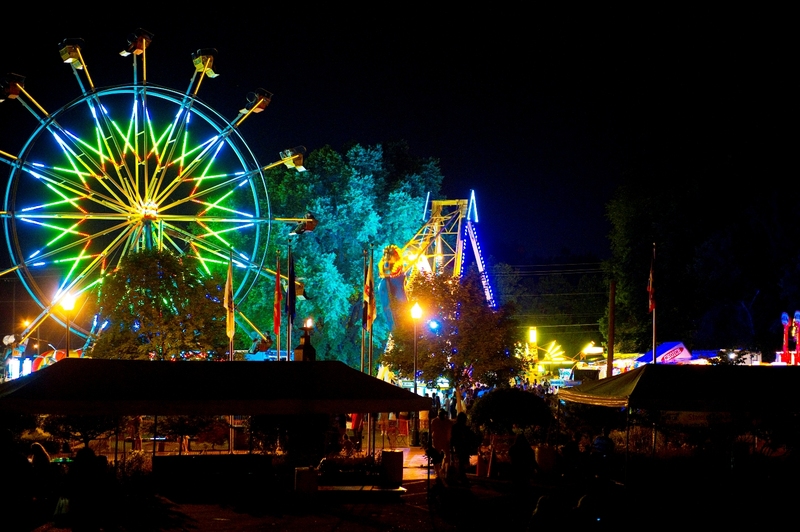 Festival and most activities are free; amusement Ride wristbands/tickets do require purchase ($15-$18 for ride all day, or purchase individual tickets). Free parking and shuttle service directly to and from the Giant Eagle Family Fun Zone and amusement ride area only is available at Giant Eagle, 1250 N. Hamilton Road, Gahanna, OH. Friday, June 14: 5 p.m. to 11 p.m.
Saturday, June 15: 11 a.m. to 11 p.m.
Sunday, June 16: 11:30 pm to 6 p.m. Check out the social media accounts for Creekside Blues and Jazz Festival, as they are giving away goodies randomly via @creeksideblues and @visitgahanna social media accounts on Facebook, Twitter and Instagram. Please contact someone directly with the event by clicking on a link within the article for the festival. Generally the vendors are set months or a year before, for large events like this, but it doesn’t hurt to ask! will you be accpting vendors for this event? we’re a local business here in Ohio, I sell pet clothes .